Originally a partner and friend of Pirata Morgan Jr. and Kaleth in his first IWRG stint. The trios was pushed strong, until they all decided to jump to AAA to become Los Piratas with Kaleth and Nemesis becoming sons of Pirata Morgan. Something must've gone wrong within the trio, because Nemesis turned back up in IWRG a few months later, alone. Nemesis (AAA) was active in AAA around the same time this one was getting pushed in IWRG, causing some confusion. The Nemesis IWRG that lost the mask six years ago was another Nemesis, unrelated to the actual one. It's not exactly clear when this luchador was Nemesis, since the brithday he gave after being unmasked would've made him 13 at his debut and that Nemesis did not look like a 13 year old. 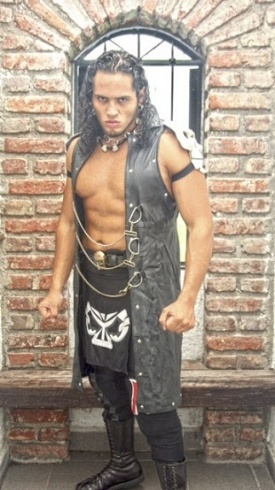 Switched over to his current name of Hijo de Pirata Morgan in 2008. (It's unclear if he was using two identities at once for a while, or if someone else took over the Nemesis name in IWRG. The name switches have made his actual relationship to Pirata Morgan a bit unclear.) Resumed wrestling with Barba Roja and Pirata Morgan Jr. as a trio. By 2010, those other two seemed to take a step back from lucha libre, and Hijo de Pirata Morgan became the primary tag partner of Pirata Morgan Sr. He's also treated as among the best Juniors in IWRG. This page was last edited on 7 August 2018, at 03:40.